Curl Curl may be derived from the Aboriginal phrase ‘curial curial’ meaning river of life. Curl Curl Lagoon separates North Curl Curl and Curl Curl. The northern dunes were partly removed during the war and finally returned to a somewhat natural state in the 1980s. North Curl Curl still has a relatively natural appearance. North Curl Curl’s original lure was its lagoon and beach. The beach is safest and most attractive in the northern corner during summer and is popular with families. North Curl Curl Surf Life Saving Club was founded in 1922 and is a volunteer community service patrolling from September to April each year. The size of North Curl Curl is approximately 1 km². It has 3 parks/reserves covering nearly 32% of the total area. North Curl Curl has numerous sport and recreation facilities including netball and soccer fields, Bowls Club, Rugby League, cricket and baseball grounds. There are 2 schools located in North Curl Curl – North Curl Curl Primary School and Manly Selective High School. The population of North Curl Curl in 2006 was 3,368 people. By 2016 the population was 4,117 showing a population growth of 8% in the area during that time. North Curl Curl has Vegetarian, Indian and Thai restaurants as well as several good cafes and take away shops. 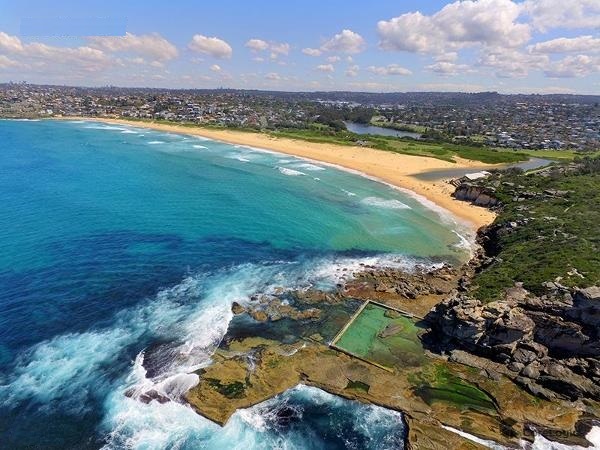 Other attractions to North Curl Curl are a beautiful headland track taking you round to Dee Why Beach & cafes, enjoy a day at the beach, walk around Curl Curl Lagoon and children’s parks, enjoy the rock pools around North Curl Curl surf pool.